Live blood analysis is quite different from the common laboratory tests that have the part to quantify the different levels of some components contained by a blood sample. Live blood analysis offers indications about the quality of a person’s blood and this fact can be considered a critical foundation of a preventative health approach that can show what effects of stress, diet and lifestyle upon our health condition are. Observing the functioning and the shape of the blood cells with a powerful microscope the examiner can observe signs of dehydration, of poor combination of food or of a poor digestion; of liver or bowel toxicity; of a weak immune system; of stress and poor circulation; of an increased level of cholesterol; of the apparition of crystal formations; of a high accumulation of heavy metals; of vitamin deficiencies; of the presence of fungi, bacteria or parasites, and so on. Live blood analysis can also indicate a protein linkage that means problems related to digestion, pH issues or hydration. 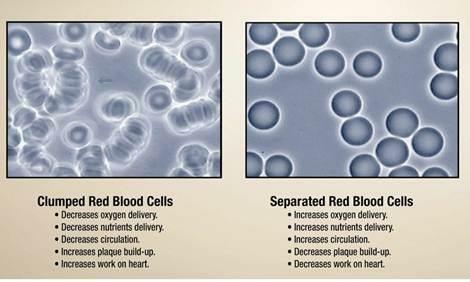 Live blood analysis has many benefits. More on, this analysis is both motivational and educational. First of all, the patients can see the image of their own blood. Live blood analysis also allows the patient and his physician to monitor the progress of the treatment. And this is a great thing because the physician will know what life style and diet to prescribe his patient and the patient will be more proactive in his efforts to improve his health. Another great advantage of live blood analysis is that the patient can find out what diseases can threaten his health and in this way to take the necessary measures to prevent the apparition of that disease.